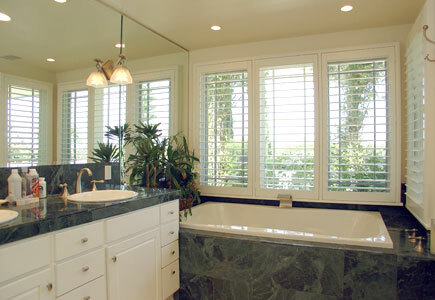 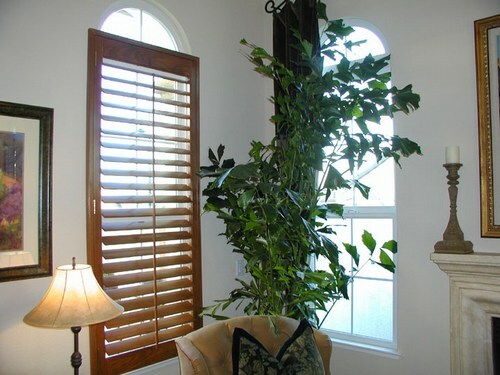 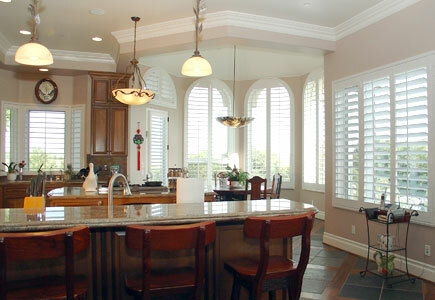 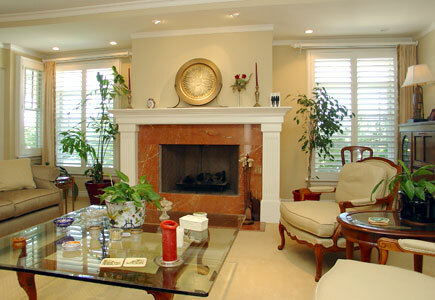 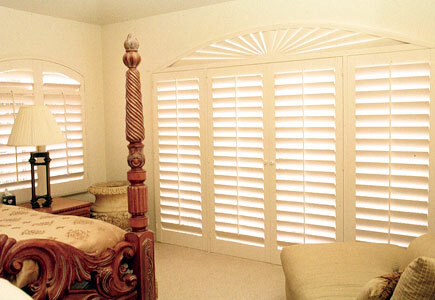 Wood shutters are also known as "plantation shutters". 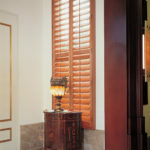 Wood shutters make a house a home. 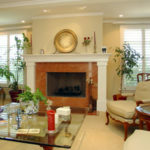 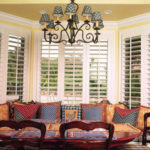 Their diversity makes them desirable for both traditional and contemporary decors. 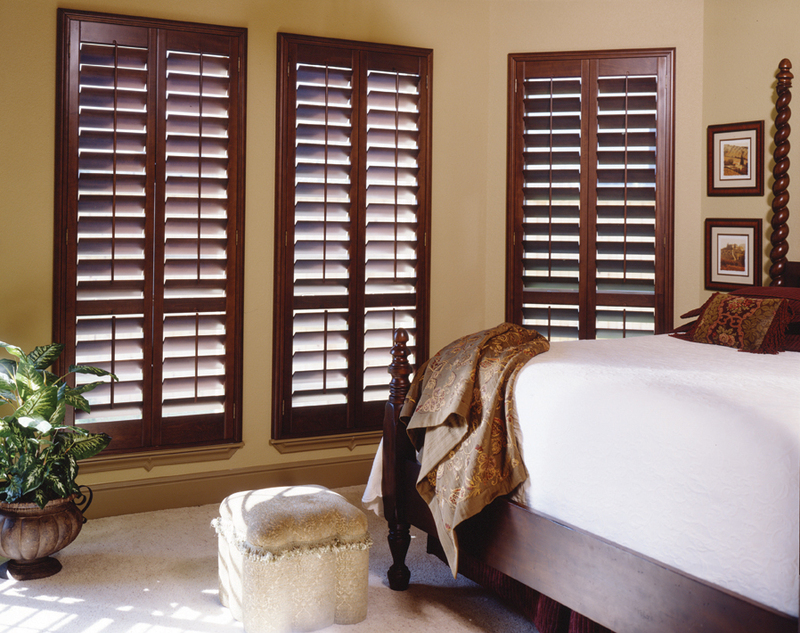 Shutters are popular for their custom made craftsman look, insulation values, light blocking capabilities, and high resale value. 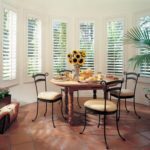 Wood shutters are timeless so they never go out of style and offer a beautiful and finished look without the need to be dressed up. 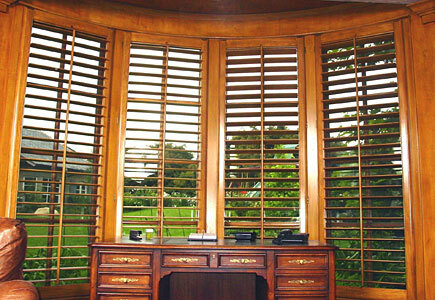 This is just a few of our shutter features and we have many options available. 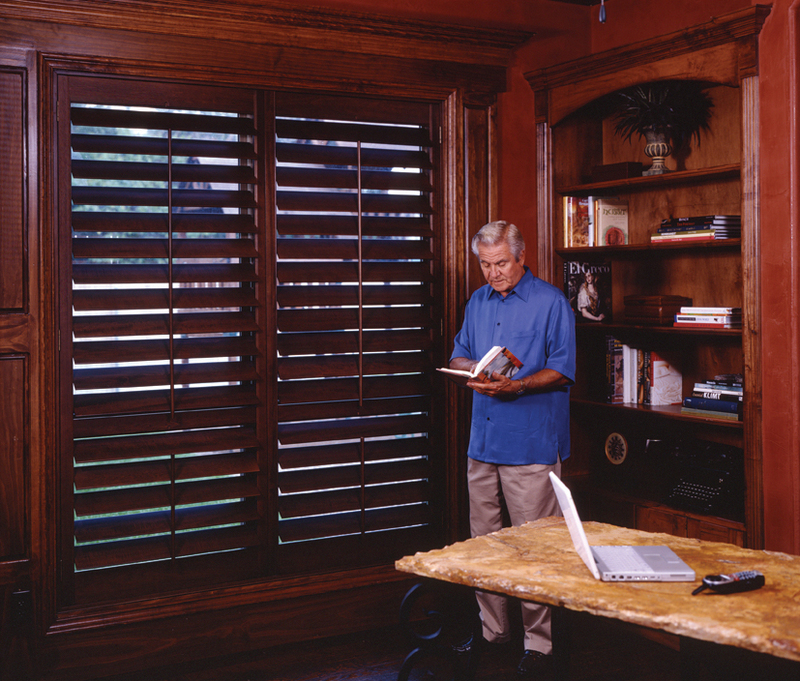 Ask about our available louver sizes, stock and custom frames, hinges, available paint and stain finishes along with our many cutom build options and features. 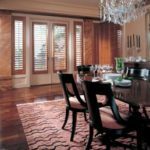 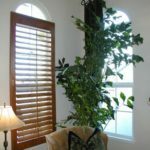 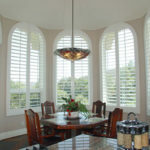 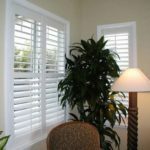 When considering plantation shutters for their home, one of homeowners most frequently asked questions is, “would you suggest a wood or vinyl shutter?” A strong case can be made for either material. 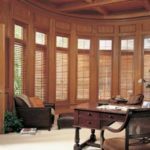 The biggest advantage of vinyl is cost (synthetics run 10% to 30% less than wood) and the biggest advantage of wood is larger panels (allowing for more light and better view). 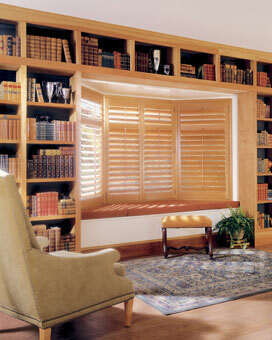 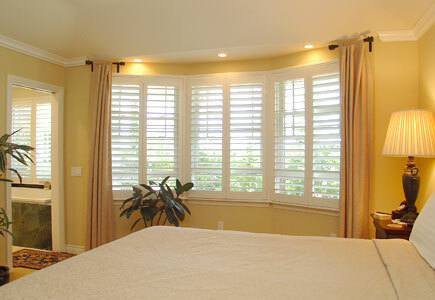 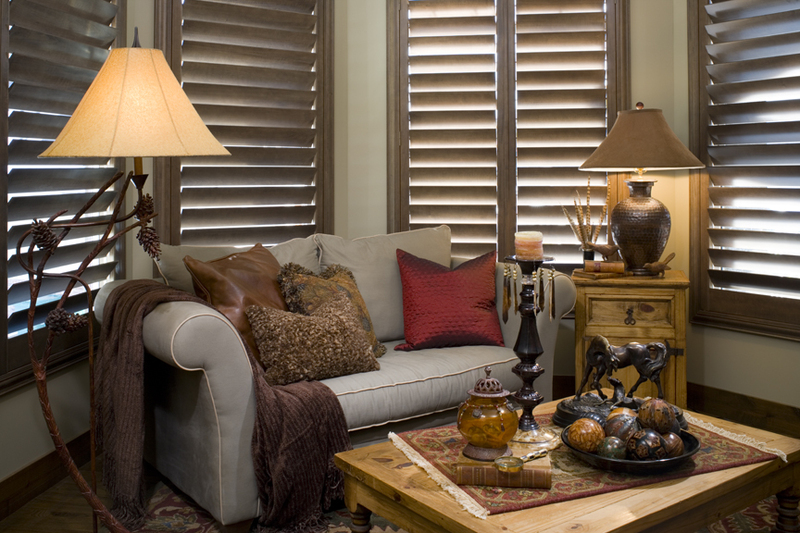 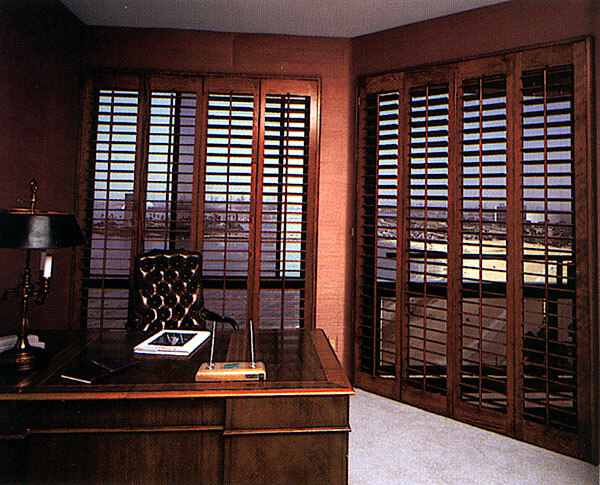 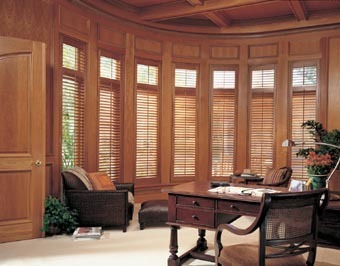 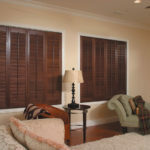 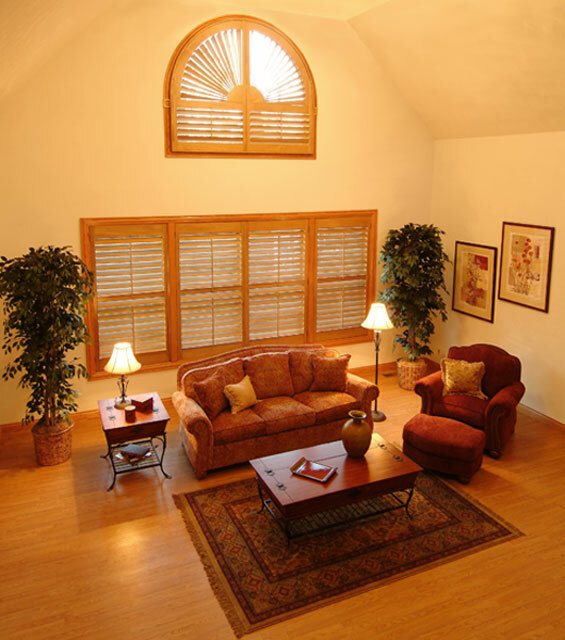 Keep in mind wood shutters have been around for centuries and vinyl shutters are relatively new to the market. 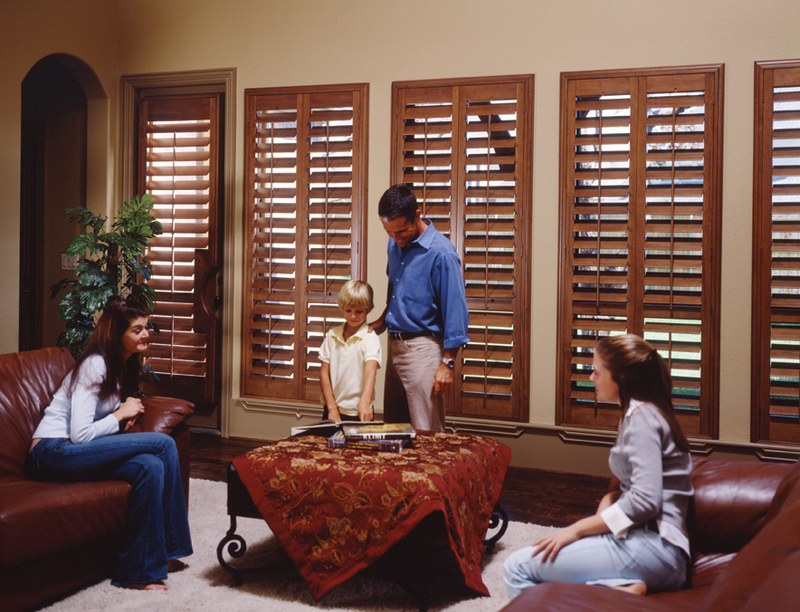 Many people feel the turn of the economy is when vinyl became a player in the shutter market for its price and ease of maintenance. 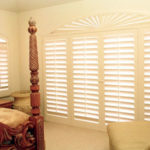 Our vinyl shutters are made locally in the Riverside area and do not come from China like our competitors. 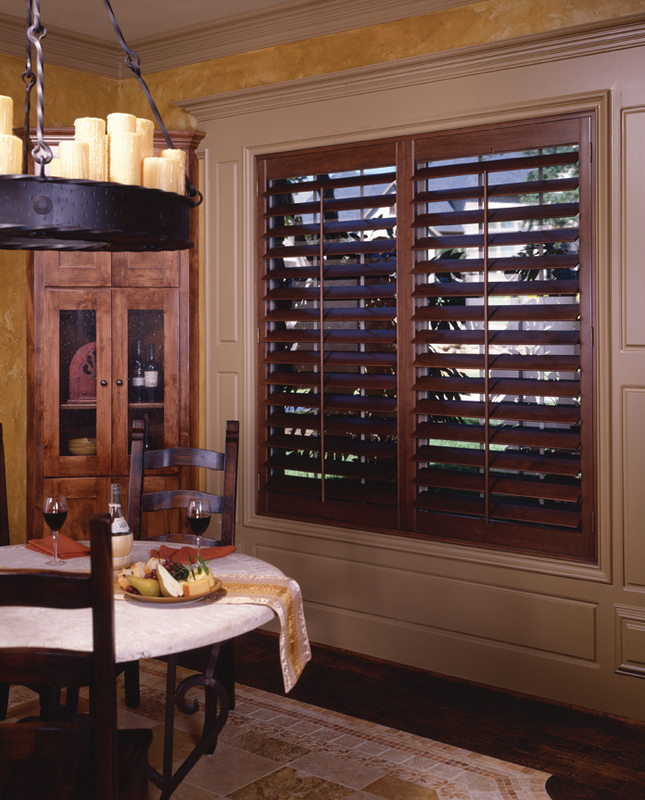 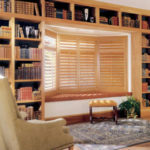 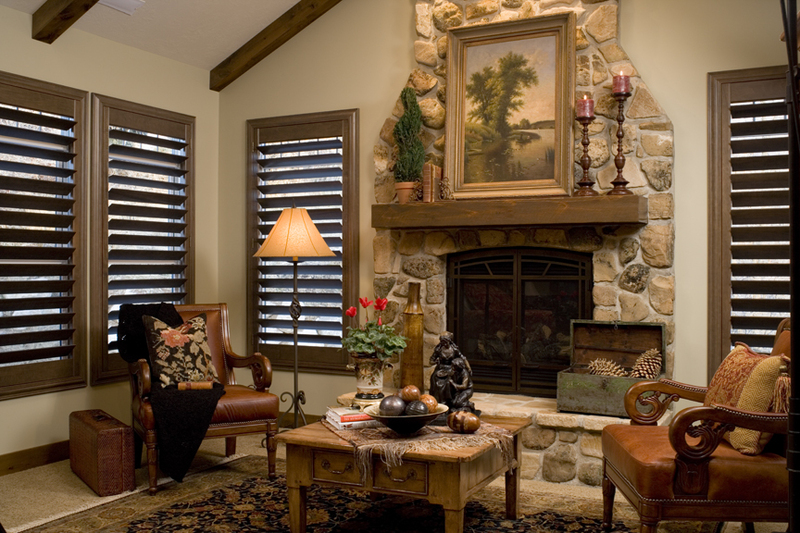 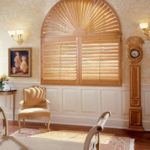 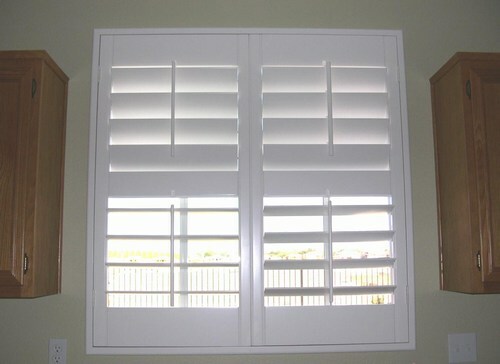 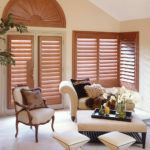 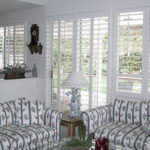 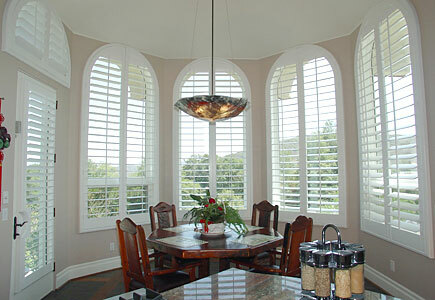 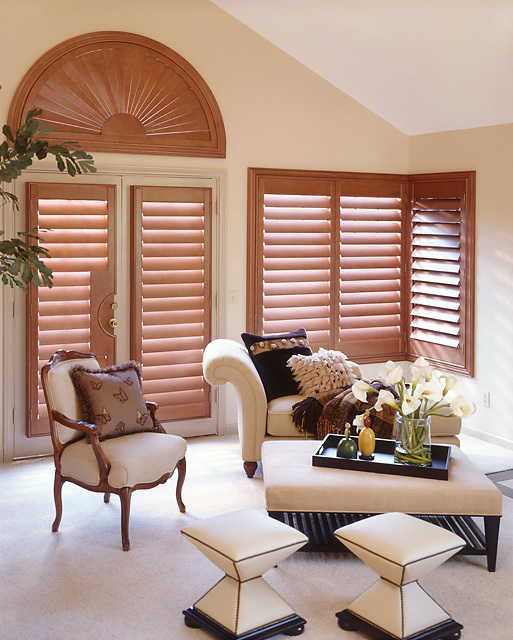 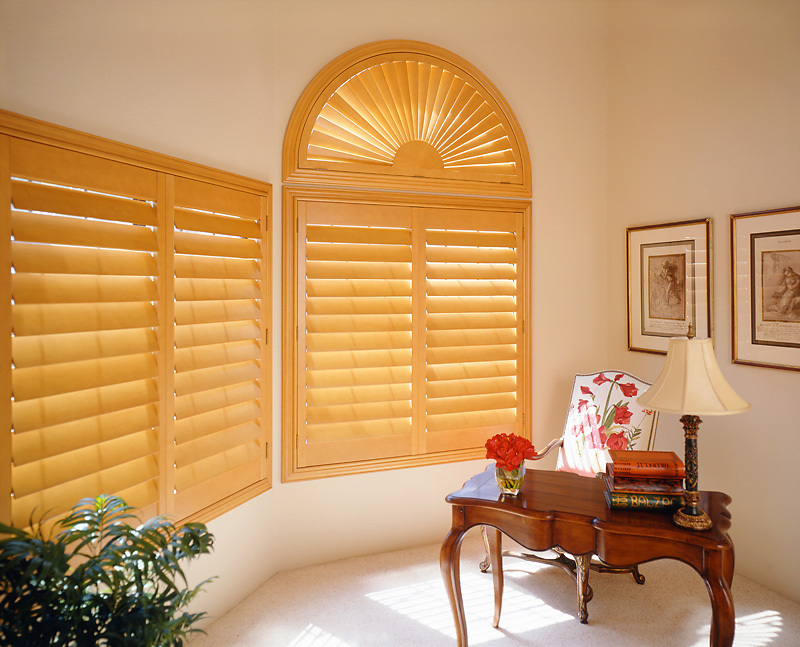 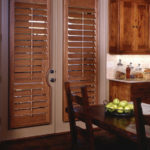 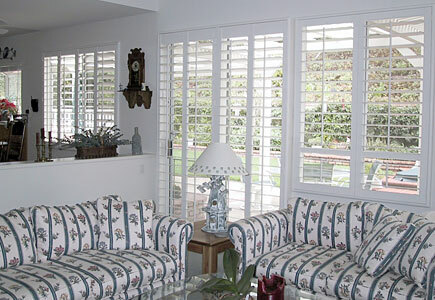 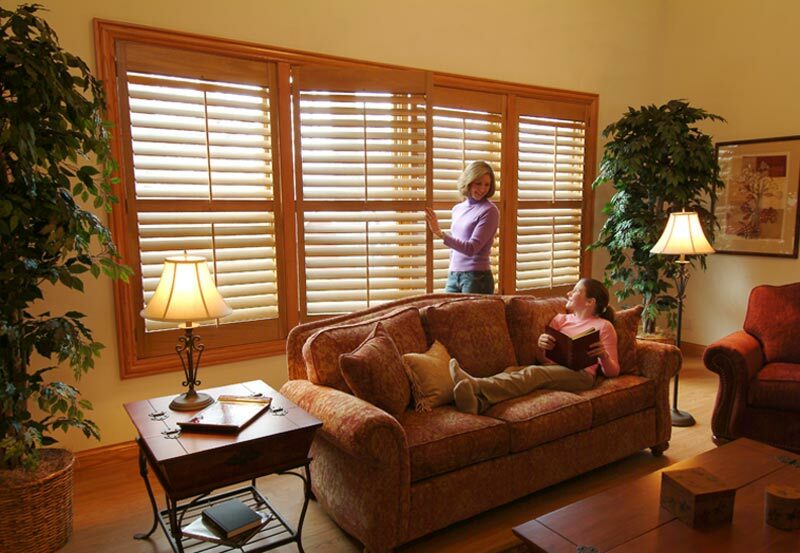 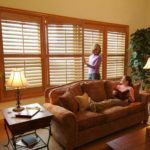 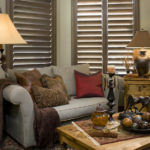 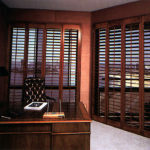 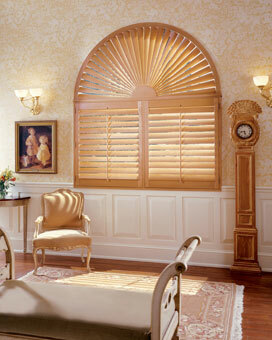 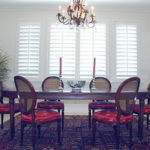 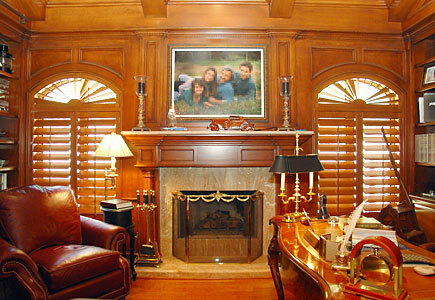 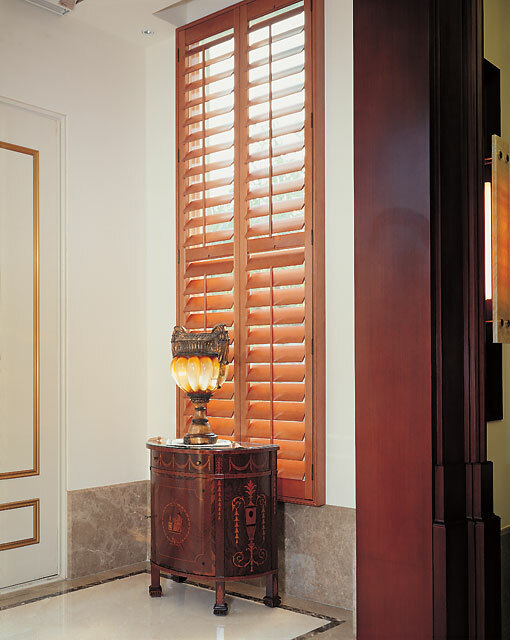 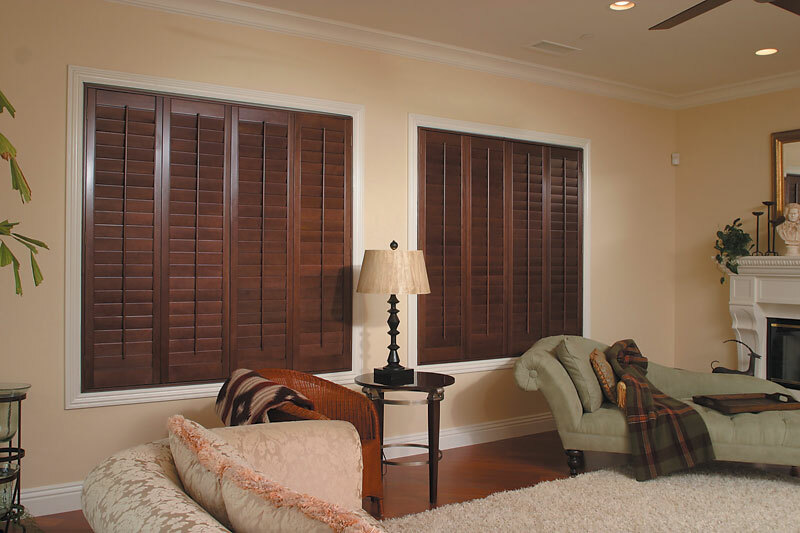 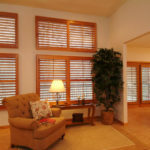 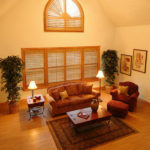 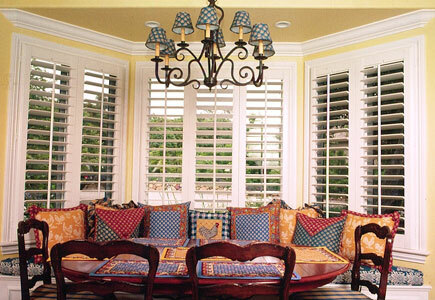 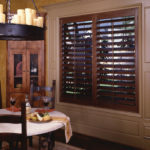 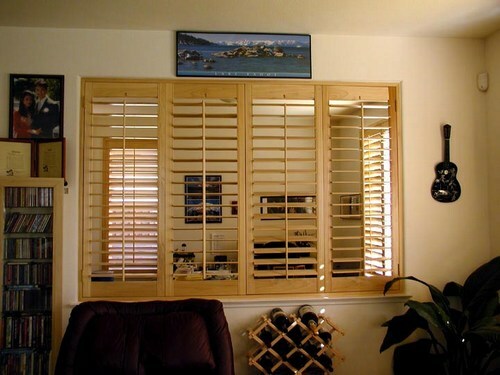 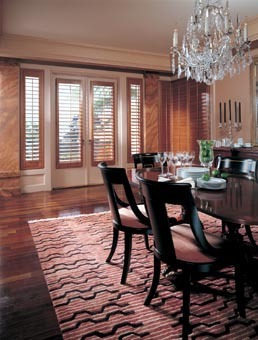 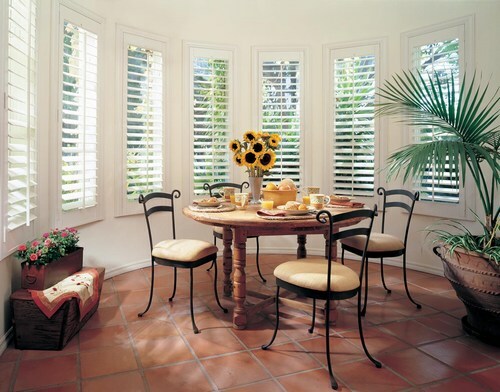 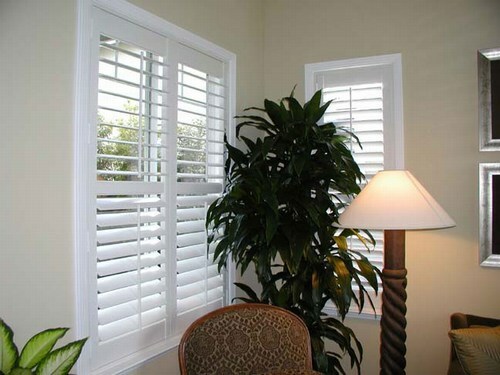 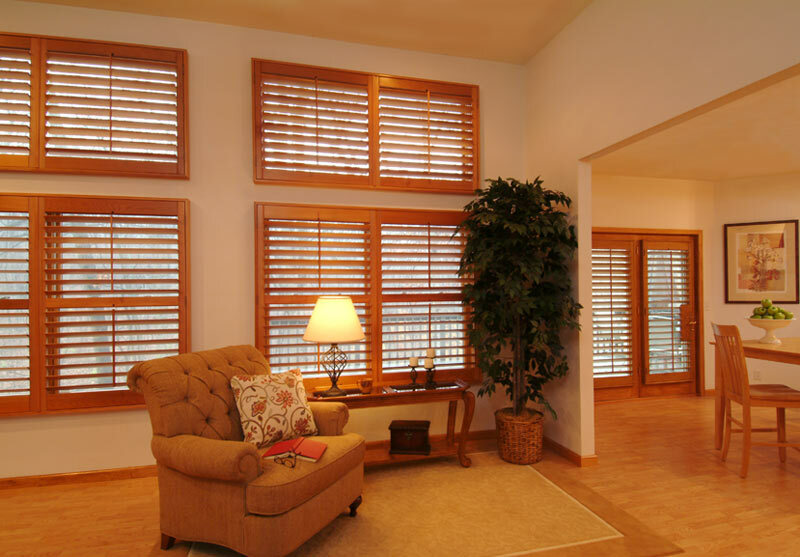 Our vinyl shutters are offered in a variety of sizes, colors, and frame styles to meet any decor. 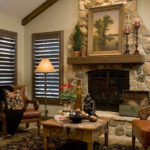 Our vinyl is made from polyresin 3 which is a colorfast compound with stabilizers designed with strength and durability while retaining a special warmth and feel. 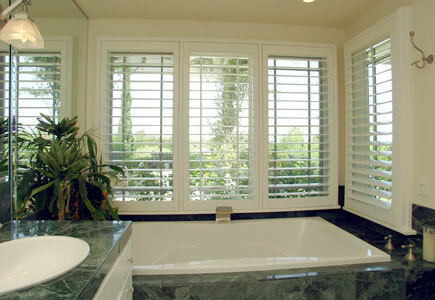 We offer 2.5", 3.5" and 4.5" louvers in neutral colors as cotton, pearl, vanilla and sandstone. 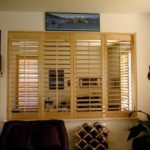 We custom design our vinyl shutters to fit any dimension needed and offer a traditional tilt bar system or "clearview" with a hidden rear tilt louver system. 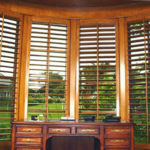 Our vinyl shutters are extremely energy efficient reducing heating and cooling bills with an estimated r-value of 3.40. Who doesnt need that nowadays? 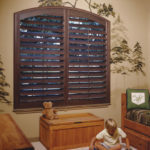 Our vinyl shutters are also fire retardant for home and office safety and meet requirements for code in commercial applications. 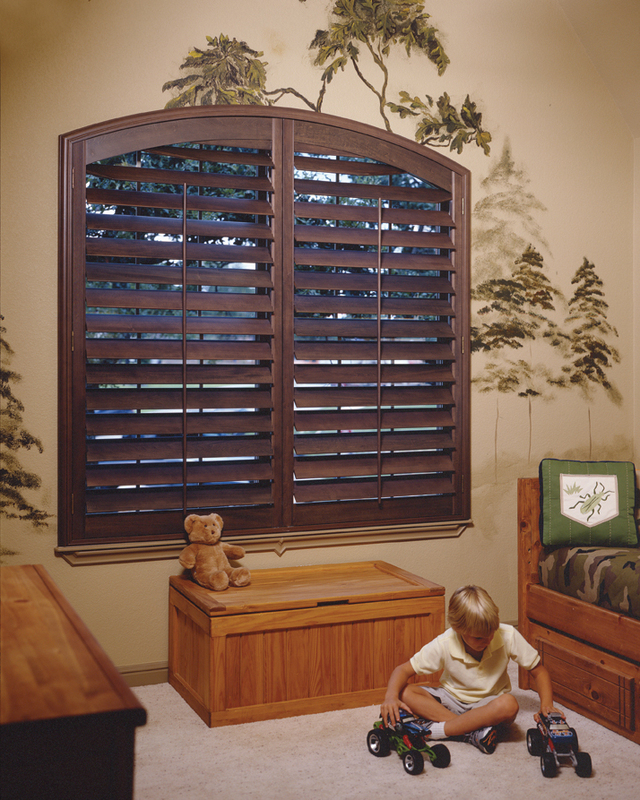 Our vinyl shutters are designed with child safety in mind as no cords are dangling causing a choking hazard. 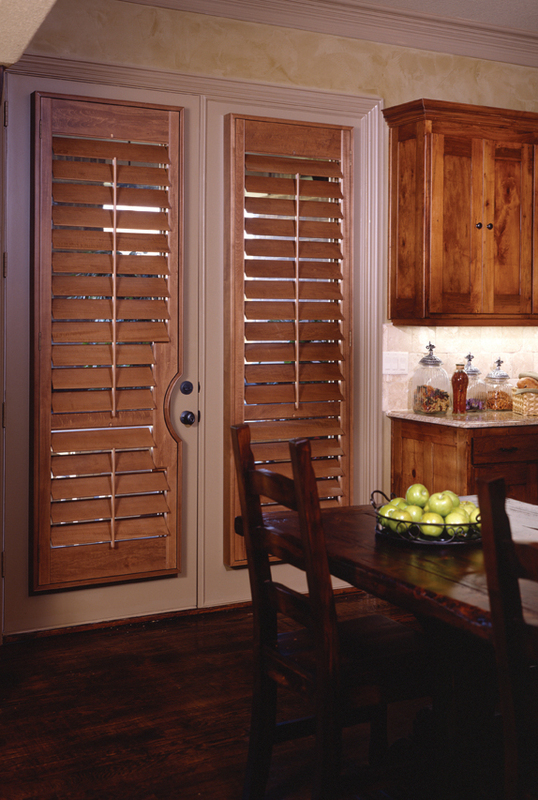 Our vinyl shutters are also waterproof and perfect for high-moisture areas. 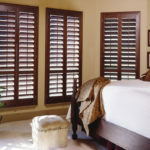 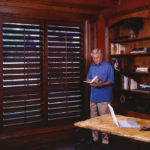 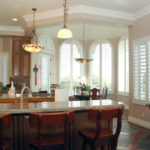 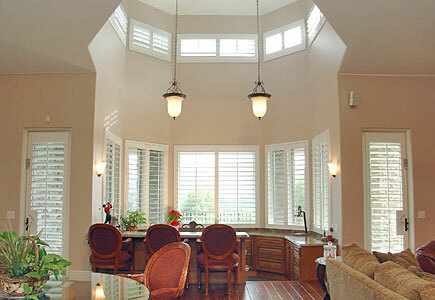 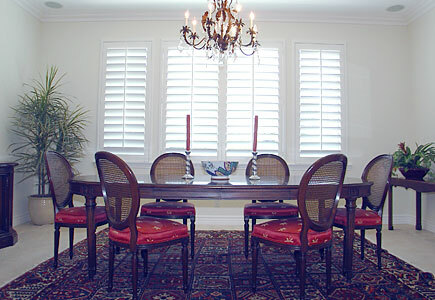 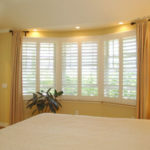 Most notable, our vinyl shutters are known for being virtually indestructible and will never chip, crack, warp or peel. 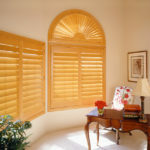 They are also protected with a UV coating that will never yellow or fade. 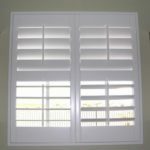 Our vinyl shutters require little or no maintenance with its lightweight design and is backed by its famous 25 year limited warranty...unconditionally guaranteed for 25 years...and it's in writing too! 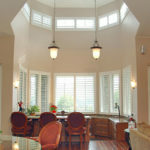 How's that for a warranty?